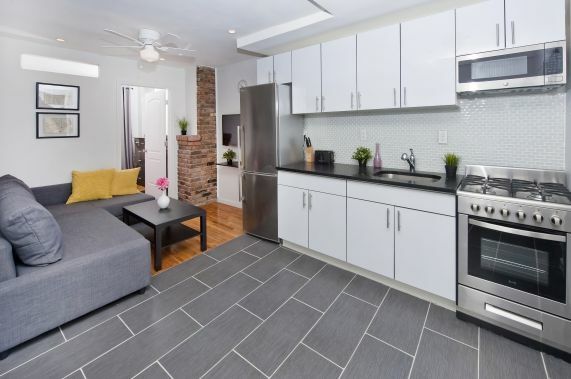 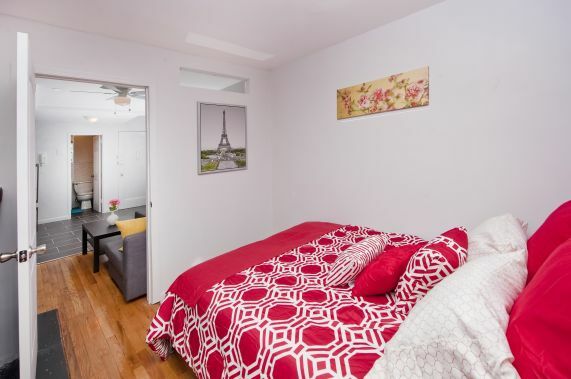 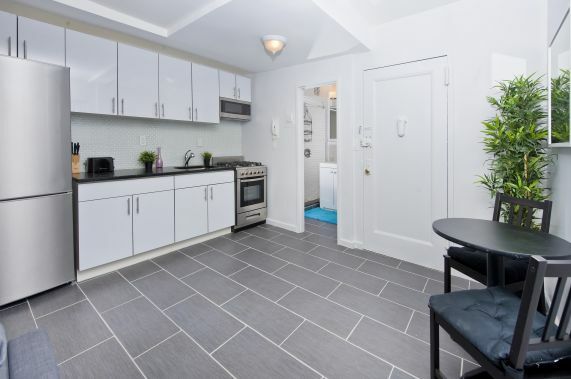 This fully furnished 2 bedroom apartment is centrally located in a post-war elevator & laundry building in the Murray Hill neighborhood- just steps away from renowned dining, shopping, coffee shops, and entertainment venues. 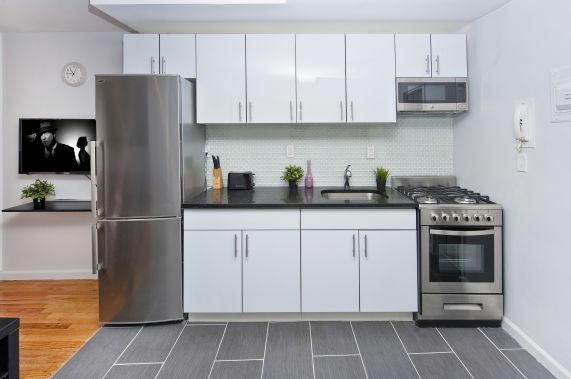 The building has a beautiful marble tiled entry and 24/7 security cameras, with live-in Super. 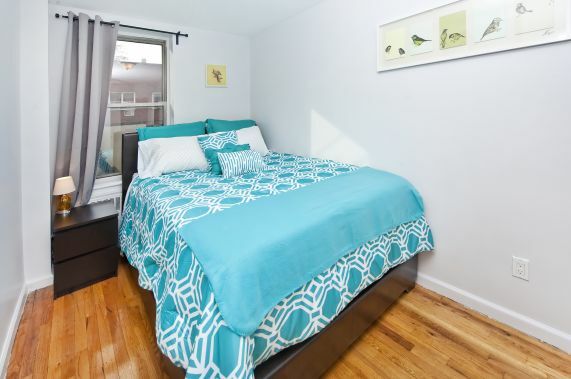 Clean bedding is provided for the queen-size bed in one bedroom and the full-size bed in the other. 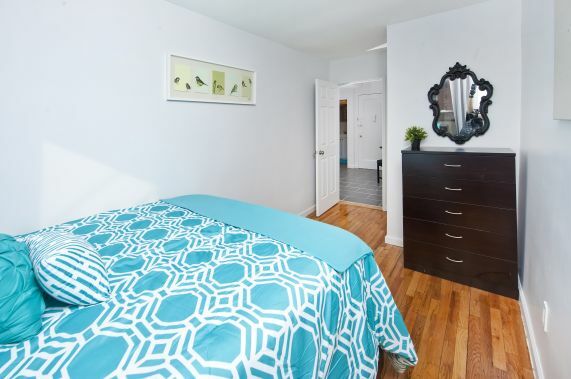 Both bedrooms have a storage chest for clothing. 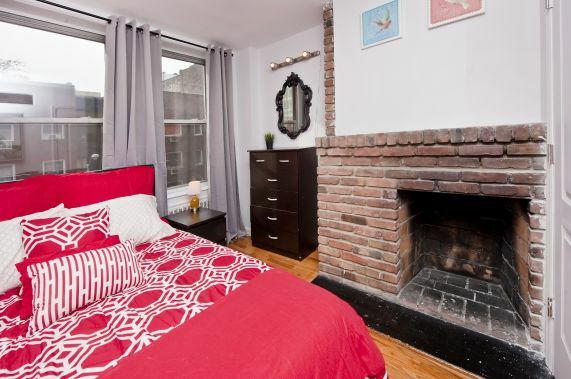 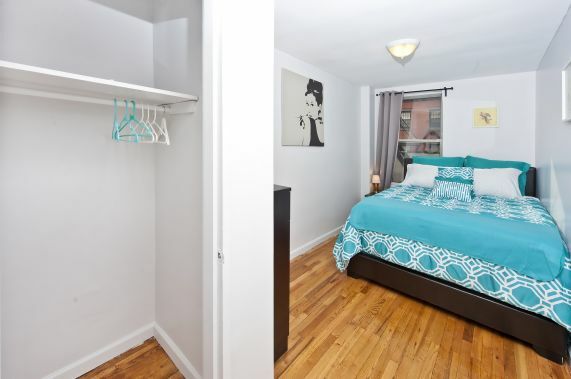 The apartment has 2 large closets- one in the queen size bedroom, and the other in the living area. 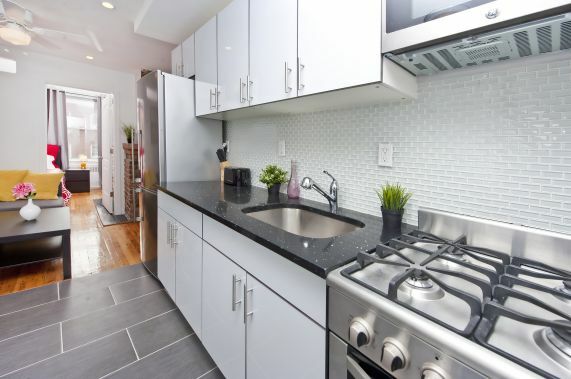 The stainless steel kitchen comes stocked with dishes, cups, pots/pans, and cooking utensils. 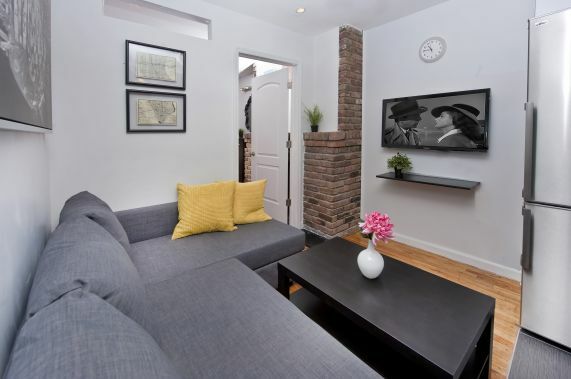 The sectional sofa in the living room pulls out into a full-size bed for additional sleeping accommodations. 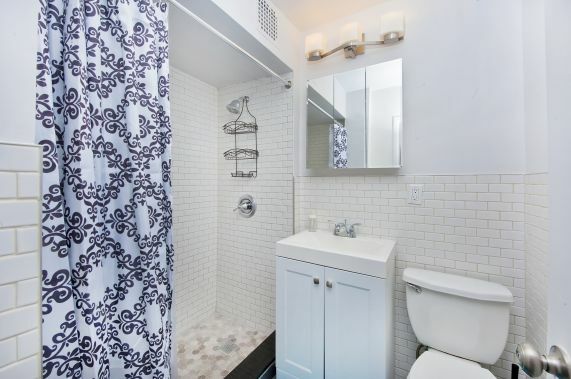 Towels provided for ample bathroom with tub. 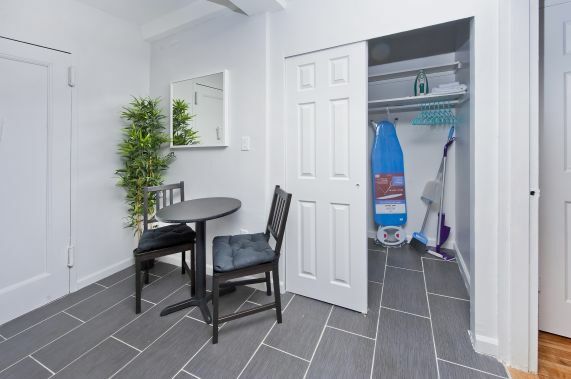 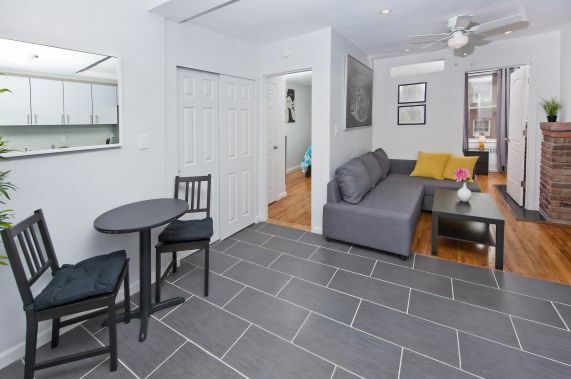 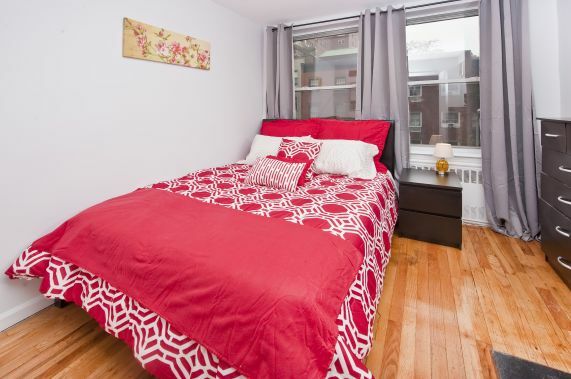 Laundry facilities are conveniently located in the basement of the building.